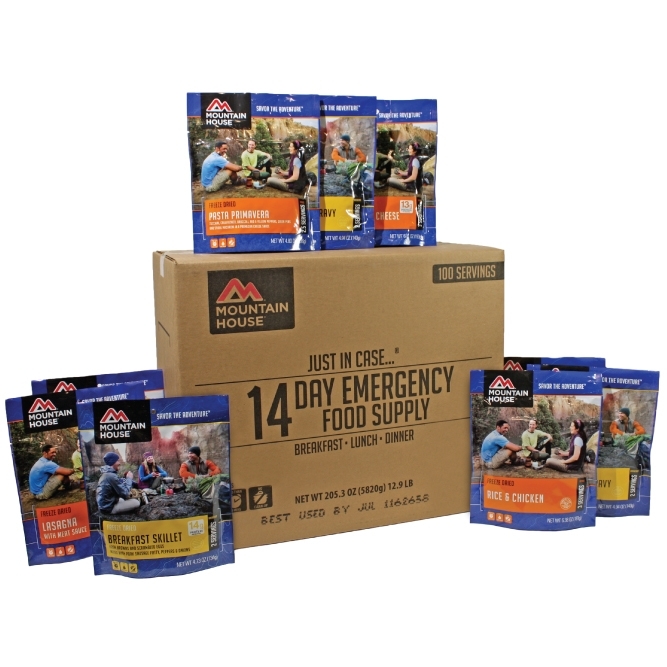 This stackable 14 day boxed kit contains a variety of popular breakfast, lunch and dinner entrees for one person. Made to be compact and easy to store, this kit measures 20" L x 16 1/2" H x 12 1/2" W. A total of 3 gallons of water is needed to prepare the food contained in this kit. 25-year shelf life.